Discover the meaning of remarkable living at The Reef exquisitely designed ocean front hoems and light-filled spacious rooms. Inspired by the magnificent scenery 2.3 miles south of town, The Reef offers a unique opportunity to embrace nature in the private sanctuary of your own home. Celebrate the generous living spaces and the great outdoors in an all accessible environment, prepare to awake your senses and thrive. - Villeroy & Boch undermount sinks. The amenities at The Reef will give you endless options to entertain in the great outdoors in an all accessible splendid environment. DEVELOPER- The developer is one of the most respected and successful developers in Puerto Vallarta with over two decades of experience and more than a hundred residences completed and sold, Mesa Moral is building the residential communities that will make of their beloved home town of Puerto Vallarta a better place to live and enjoy for years to come. 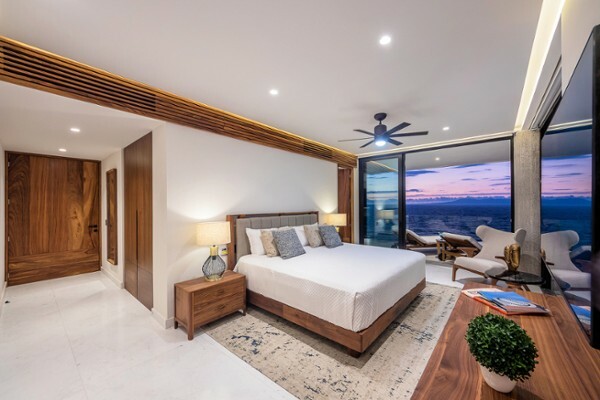 Discover the meaning of remarkable living at The Reef exquisitely designed ocean fro..
A little farther south from downtown, just past the sub-region of Amapas, is one of Vallarta's oldest and most prestigious developments, Conchas Chinas. It is an upscale residential neighborhood with both upper and lower sections divided by the Carr. 200 South highway where one will find exemplary samples of Conchas Chinas real estate. Here, traditional Vallarta-style villas and modern condominiums sit next to each other, sharing a spectacular view of Banderas Bay, in the case of those located high up on the hill, or within walking distance to the beach, or direct access to it for the lower sections. The steep winding roads are an adventure to explore, with many open spaces where you will be tempted to stop your car and take a few snapshots of the spectacular vistas available from several high vantage points. The sandy beaches, rock, grottos and hidden coves are just as fun, as they are accessible by car, or you can actually reach them directly from Los Muertos beach on foot.